Hello! We are thrilled to be a part of the Birds of a Feather collaboration again. 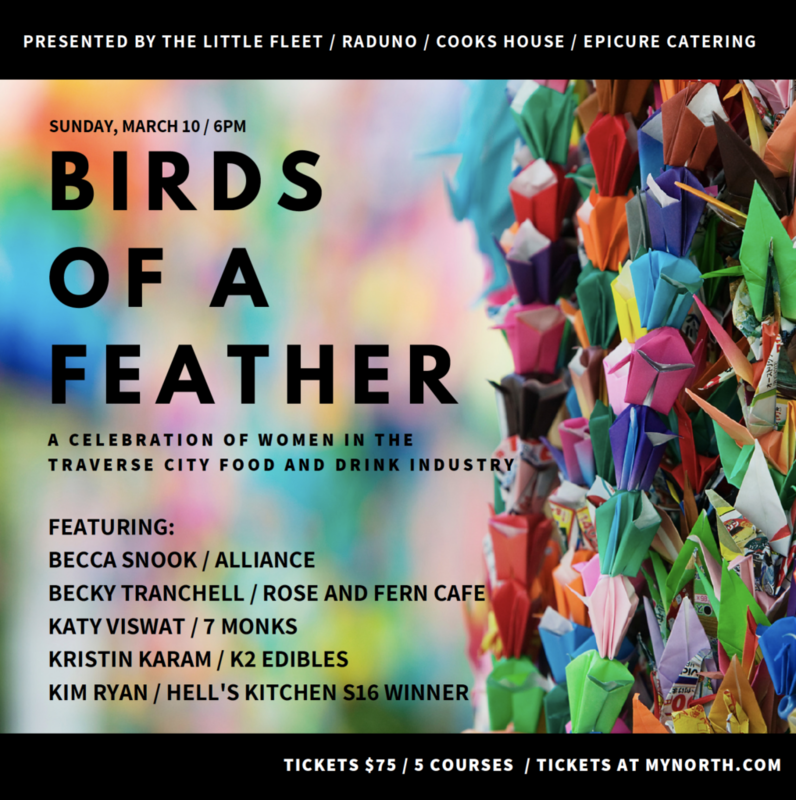 This celebration of Women in TC’s hospitality industry should be a delicious event as we have a fabulous slate of chefs lined up. There will be a special drink menu on offer as well. The event is on March 10, 2019 at The Little Fleet, and tickets are available at MyNorthTickets. We hope you’ll join us!